Product prices and availability are accurate as of 2019-04-13 19:48:15 EDT and are subject to change. Any price and availability information displayed on http://www.amazon.com/ at the time of purchase will apply to the purchase of this product. 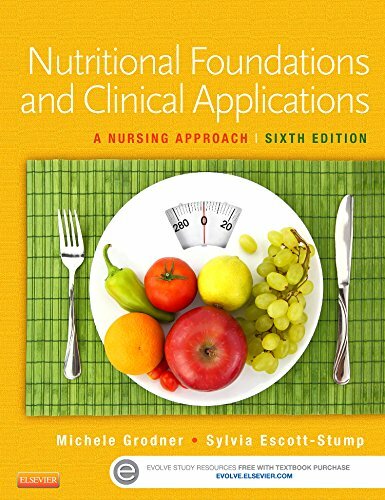 Looking at nutrition and nutritional therapy from the nurse’s perspective, Nutritional Foundations and Clinical Applications: A Nursing Approach takes a wellness approach based on health promotion and primary prevention. It offers guidelines with a human, personal touch, using first-hand accounts to show how nutrition principles apply to patients in real-world practice. This edition includes new chapters on the effects of stress on nutrient metabolism and on nutrition for neurodegenerative disorders such as Alzheimer’s and Parkinson’s disease. 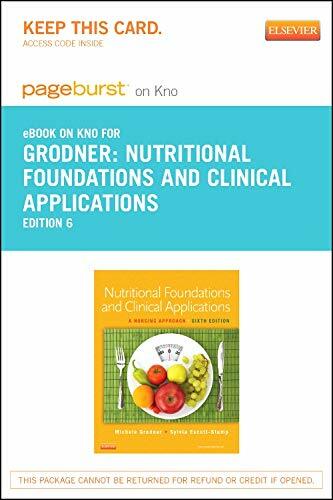 Written by educators Michele Grodner, Sylvia Escott-Stump, and Suzie Dorner, this leading nutrition text promotes healthy diets and shows how nutrition may be used in treating and controlling diseases and disorders.